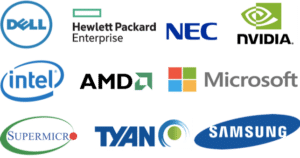 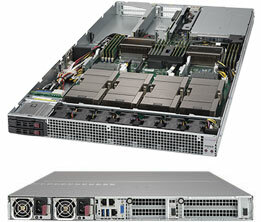 The Supermicro SuperServer SYS-9029GP-TNVRT is extremely suitable for Digital Transformation applications from natural speech by computers to autonomous vehicles, predictive analytics in manufacturing, smart cities, smart buildings etc. 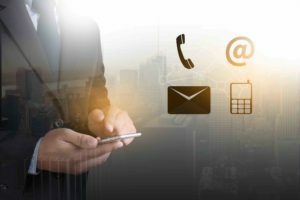 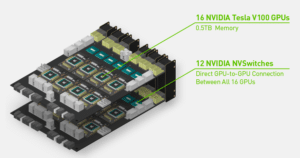 With the explosion in IT and IoT data, AI models are exploding in size. 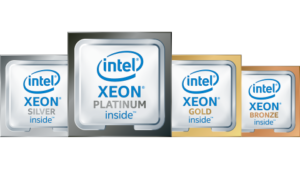 HPC applications are similarly growing in complexity as they unlock new scientific insights. 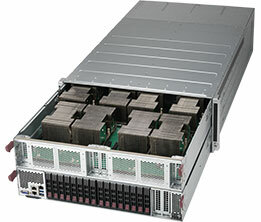 The 9029GP-TNVRT can be optimized to deliver the highest compute performance and memory for rapid model training. 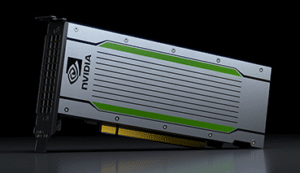 Accelerated by 16 NVIDIA Tesla V100 GPUs and NVIDIA NVSwitch, HGX-2 has the unprecedented compute power, bandwidth, and memory topology to train these models faster and more efficiently. 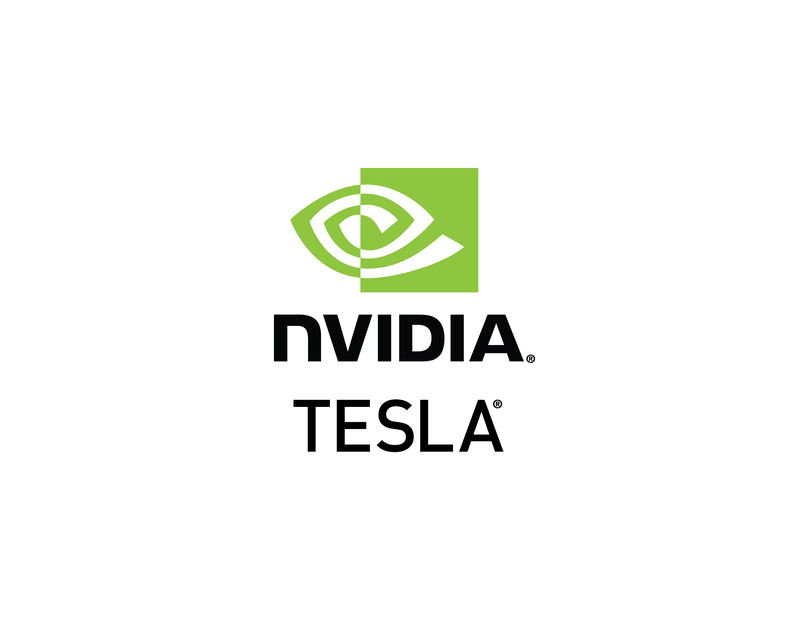 The 16 Tesla V100 GPUs work as a single unified 2-petaFLOP accelerator with half a terabyte (TB) of total GPU memory, allowing it to handle the most computationally intensive workloads and enable the world’s largest GPU. 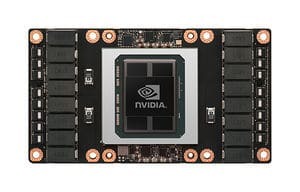 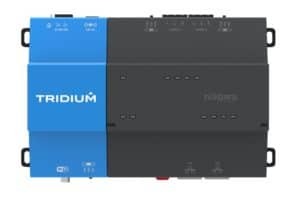 Featuring the world’s most advanced GPU, this server is particularly suited for maximum acceleration of highly parallel applications like Artificial Intelligence (AI), Deep Learning, Machine Learning, Autonomous Machines, Self-Driving Cars,Big Data Analytics, Internet of Things (IoT), Smart Cities, Health Care, Oil & Gas Research,Computer Aided Design (CAD), Virtual/Augmented Reality, HPC, Virtualization, Database Processing, and General IT & Cloud Enterprise Applications. 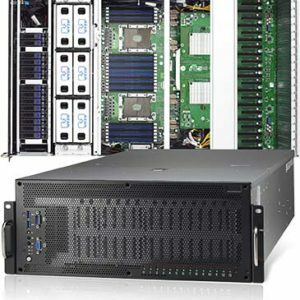 Comparable to the NVIDIA DGX-2 system, the Supermicro SYS-9029GP-TVRT offers high flexibility in configuration and extremely attractive price/performance. 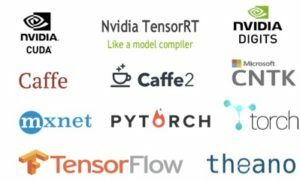 Below is an OptiReady configuration ready for your AI/Deep Learning needs. 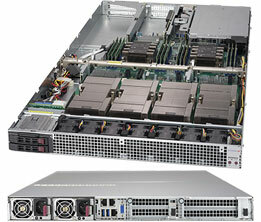 The Supermicro SuperServer SYS-9029GP-TNVRT is extremely suitable for Digital Transformation applications from natural speech by computers to autonomous vehicles, predictive analytics in manufacturing, smart cities, smart buildings etc. 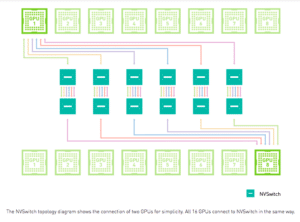 Great analysis of the SYS-9029GP-TNVRT by Timothy Pickett Morgan. 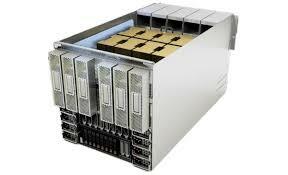 We have just posted price and system is available for ordering now. 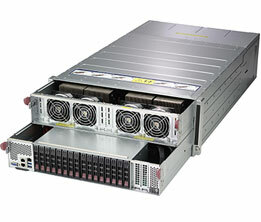 Lead time ~6-8 weeks right now (as this is brand new) but we always check with Supermicro for each order. 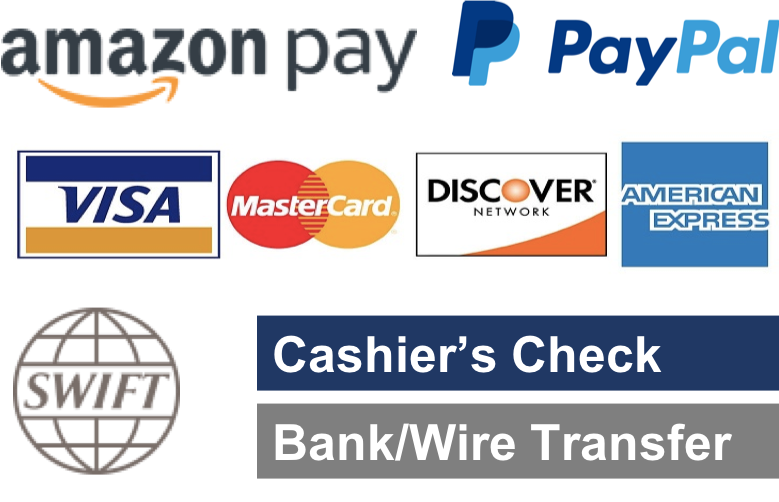 Please contact us at digital@dihuni.com if you’re interested in ordering.